This dissertation arises from concerns about the nature and consequences of immigration status for young Turkish women in Germany. From this perspective, the two goals of the research were identified. 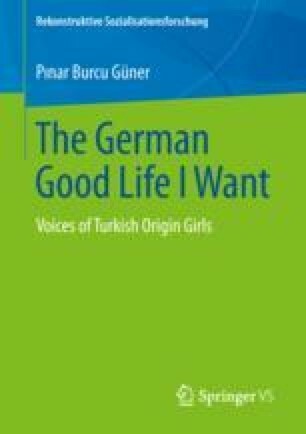 The first goal was to investigate how girls of Turkish origin living in Germany developed a positive view of themselves, such as empowerment, agency, emancipation, inspirations and aspirations and how they were challenged at school and in German society. The second goal was to ascertain how girls of Turkish origin living in Germany interpreted challenges to seeking a good life in school and the wider society.